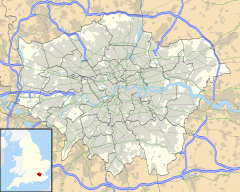 Cordwainer is a small, almost rectangular-shaped ward in the City of London. It is named after the cordwainers, the professional shoemakers who historically lived and worked in this particular area of London; there is a Livery Company for the trade — the Worshipful Company of Cordwainers. The ward is sometimes referred to as the "Cordwainers' ward". It is bounded to the north by Poultry and Cheapside (the boundary with Cheap ward); to the west by the eponymous Bread Street and the ward of the same name; to the south by Cannon Street (and Vintry and Dowgate wards); and to the east by Walbrook ward and a street of the same name. 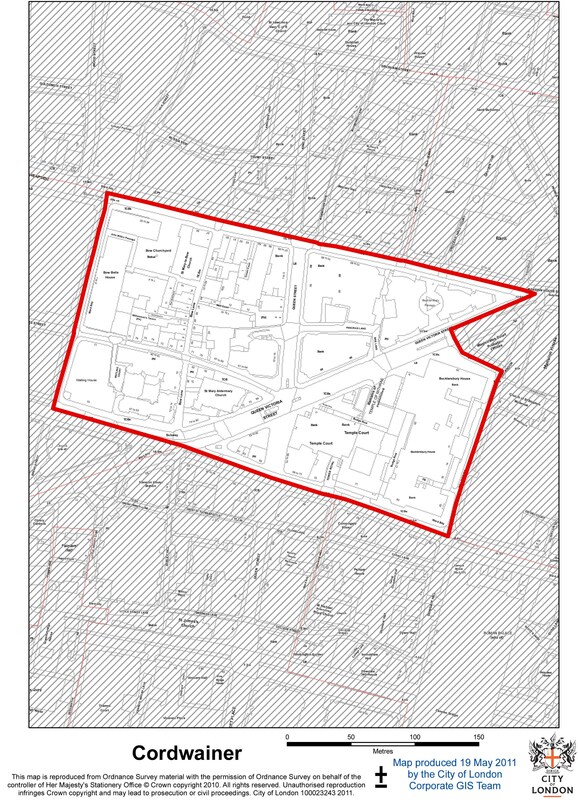 Streets within Cordwainer's boundaries are, amongst others, Bow Lane, Pancras Lane and part of Watling Street. Queen Street runs north-south through the centre of the ward. A statue of a cordwainer in the ward. The contemporary ward is home to many large businesses and new initiatives such as Bow Bells House, named after the bells of St Mary-le-Bow church—and not as sometimes thought the area of Bow. Cordwainer contains one other church, St Mary Aldermary, and the site of St Antholin, Budge Row, demolished in 1875. Cordwainer ward is quite distinctive for its high number of licensed premises. the improvement the quality of life mainly within the Ward. It further aims to lend support to the municipal officials of the ward. Cordwainer is one of 25 ancient wards of the City of London, each electing an alderman to the Court of Aldermen and commoners (the City equivalent of a councillor) elected to the Court of Common Council of the City of London Corporation. Only electors who are Freemen of the City are eligible to stand for election. The current Alderman is Roger Gifford and the current Common Councilmen are: Mark Boleat, Michael Snyder and Alex Barr. ^ "Cordwainer Ward Club". City of London Cordwainer Ward. Cordwainer Ward. Retrieved 28 October 2017. ^ "Your Councillors". democracy.cityoflondon.gov.uk. City of London Corporation. 6 November 2017. Retrieved 6 November 2017. This page was last edited on 8 November 2017, at 14:17 (UTC).